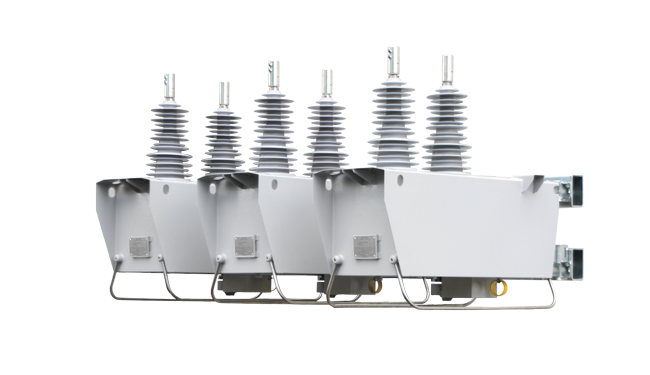 The OSM Single Triple automatic circuit reclosers are designed for use on overhead distribution lines as well as distribution substation applications for all voltage classes up to 38kV. Supplied complete with an RC control and communications cubicle, the OSM Single Triple ACR is a leader in its class. The RC control cubicle provides industry defining protection, data logging and communications into a single powerful device. This OSM and RC system has been designed as a standalone solution for Single Triple applications that is easily integrated into Distribution Automation and remote control schemes to provide you with control, protection and safety on your network. NOJA Power Single Triple Reclosers have passed extensive type tests by independent laboratories, giving you long life, reliability and peace of mind in even the harshest environments. As the world’s only solid dielectric insulated reclosers with type tested controlled arc fault venting, the NOJA Power Single Triple is the only choice when it comes to safety and reliability. 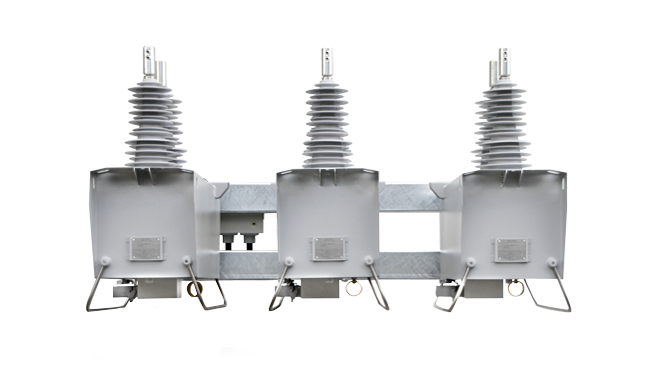 In a single triple configuration, there are three single phase OSM Reclosers mounted on a single bracket and connected via a junction box to a common RC-10 controller. The OSM tank is manufactured from powder coated stainless steel and is arc-fault vented. It has a 30 year operating design life. Each tank has a single pole with a vacuum interrupter and insulated drive rod contained within a solid dielectric housing. A magnetic actuator is contained within a mechanism enclosure which is installed within the sealed tank. The OSM tank provides an IP65 rating. Each recloser can be mechanically tripped by using a hook stick to pull the Mechanical Trip Ring downwards. Position indication is located in the base of the tank and can be viewed by an operator on the ground. Recloser open / close status is detected by the RC10 through monitoring the status of Auxiliary Switches that reflect the position of the mechanism. An optional mechanical trip counter is available. Current is measured on each recloser using Current Transformers. These provide phase current measurement (one for each recloser i.e. Phase A, B and C) for indication and overcurrent protection. Residual current measurement from the three phases is used for indication and ground overcurrent protection. The Single Triple is capable of independently tripping, closing and mechanically locking each phase. Each phase has its own fault detection/trip and auto reclose sequencing capability. Operations of the three reclosers are controlled by the RC10 controller which can be programmed for three operating modes. Please refer to section 6.2 Single Triple Modes of Operation and section 3.9 Mechanical Trip. For all modes, the protection parameters and sequence of operation are the same for all phases. In this mode all three phases simultaneously trip and close together under all conditions for single phase or multiple phase faults. In this mode each individual phase will sense line current and only the phase corresponding to the faulted phase will trip. The trip counter will apply on a per phase basis. If any of the phases sequences to lockout, the other two phases also lockout, eliminating permanent single-phasing of three-phase loads. In this mode each individual phase trips and sequences to lockout independent of each other.